Nöroloji ve Klinik Nörofizyoloji Uzmanı, Nöroloji ve Tıp Eğitimi A.D.
◊ Yalancı Bunama (Psödodemans) Nedir? 1.Sahin S, Tan D, Aydin S, Kiziltan M, Karsidag S. Increased Mirror Movements After Epileptic Seizure: In A Case Of Polymicrogyria. Neurologist 2006;12:106–108. 3.Sahin S, Ayalp S, Karsidag S. Superficial Siderosis of the Central Nervous System: An Unusual Cause for Headache and Hearing Loss. Neurology Asia 2006;11:145 – 149. 4.Aksoy T, Karaca P, Atasoy MM, Sahin S. Isolated Third Nerve Palsy After Cardiac Surgery. J Cardiothorac Vasc Anesth 2007;21: 110–112. 5.Sahin S, Aksungar FB, Eren Topkaya A,Yildiz Y,Turk Boru U, Ayalp S, Karsıdag S. Increased Plasma Homocysteine Levels In Multiple Sclerosis. Mult Scler 2007;13(7):945–496. 8.Topkaya EA, Sahin S, Aksungar FB, Yildiz Z, Turk Boru U, Sur H. Is There Any Relationship Between Streptococcal Infections and Multiple Sclerosis? Med Sci Monit 2007; 13(12):CR567–569. 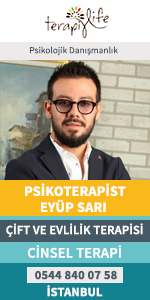 10.Sahin S, Comert A, Akin O, Ayalp S, Karsidag S. Cutaneous Drug Eruptions by Current Antiepileptics: Case Reports and Alternative Treatment Options. Clin Neuropharmacol 2008;31(2):93–96. 11.Sahin S, Sekban A, Ayalp S, Karsidag S. An unusual cause of cardioembolic stroke: Isolated left ventricular noncompaction. Neurologist 2008;14:125-127. 12.Karaali-Savrun F, Goksan B, Savrun M, Sahin R, Sahin S. Cerebral Blood Flow Changes In Patients With Probable Medication-Overuse Headache, Funct Neurol 2008; 23(2): 83–86. 13. Karsidag S, Ozcan A, Sahin S, Karsidag S, Kabukcuoglu F, Ugurlu K, Bas L. Electrophysiologic and histopathologic evaluation of peripheral nerve regeneration at different nerve segments and with different repair techniques. Acta Orthop Traumatol Turc 2008;42:278–283. 15. Yaman M, Sahin S, Kiziltan M. Blink reflex recovery in central and peripherally originated movement disorders of the cranio-cervical area: a comparative study. Electromyogr Clin Neurophysiol 2009;49(1):19–25. 17.Sahin S, Yaman M, Ozturk SM, Kiziltan ME. What Happens On The Other Eye? Blink Reflex Alterations in Contralateral Side After Facial Palsy. J Clin Neurophysiol 2009; 26(6):454–7. 19.Cubuk R, Sahin S. Tasali, Cinar N, Cubuk A. A Case of Fahr's Disease Presenting with Anxiety Disorder: Magnetic Resonance Spectroscopy Findings. The Internet Journal of Neurology 2010: 12: 2–4. 20. Ozturk SM, Sahin S, Kiziltan ME. Ağrılı Diyabetik Polinöropati ile Hipertrigliseridemi ve Hiperkolesterolemi İlişkisi. Türk Geriatri Dergisi 2010; 13: 73–78. 21. Sahin S, Cinar N, Aksungar FB, Ayalp S, Karsidag S. Attenuated Lactate Response to Ischemic Exercise in Migraine Med Sci Monit 2010;16(8):CR378-382. 22. Sahin S, Cinar N, Sezgin G, Ayalp S, Karsidag S. Acute Motor Axonal Neuropathy: A Severe Complication of Alcohol Abuse. J Neuropsychiatry Clin Neurosci [kabul edildi]. 23. Cinar N, Sahin S, Karaoğlan A, Karsidag S. An Unusual Complication of Intramuscular Hematomas caused by Anticoagulant Therapy: Intramuscular Hematomas. Nöropsikiyatri Arşivi 2010;47(3): 267–270. 24. Cinar N, Sahin S, Karsidag S. Eye Originated Visual Hallucinations: Remember Charles Bonnet Syndrome. Indian J Ophthalmol 2011;19:223–224. 25. Karsidag S. Cinar N, Sahin S. From the lithium intoxication to Lung Cancer: A Woman's Diagnostic Journey. Prim Care Comp CNS Disord 2011;13(2):e1-e2. 26.Cinar N, Sahin S, Okluoglu T, Batum K, Karsidag S. Is herpes zoster merely a simple neuralgia syndrome? Eur J Gen Med 2011; 8(3):219-223. 28.Cinar N, Sahin S, Sahin M, Okluoglu T, Karsidag S. Effects of anthropometric factors on nerve conduction: An electrophysiologic study on feet. JAPMA [kabul edildi]. 29.Ayalp S, Sahin S, Aksungar FB, Karsıdag S. Evaluation of Platelet Serotonin Levels in Migraine without Aura. Agri [kabul edildi]. 30.Cinar N, Sahin S, Bozdemir M, Simsek S, Karsidag S. Hanging induced burst suppression pattern in EEG: A case and its neuropsychiatric Aspects. J Emerg Trauma Shock [kabul edildi]. 35.Ş Şahin, ME Kızıltan, D Tan. Blefarospazm Olgularında Göz Kırpma Refleksi Yanıtları ve Toparlanma Eğrisinin Değerlendirilmesi. Journal of Neurological Sciences (Turkish) 2005;22:274–282. 36.Ş. Şahin, D Tan, S. Karşıdağ. Yabancı El Sendromu. Sendrom Dergisi 2006;18:91–93. 37.Ş. Şahin, A. Arısoy, A. Eren Topkaya, S. Karşıdağ. Bir Varicella Ensefaliti Olgusunda Klinik Ve Radyolojik Bulgular. İnfeksiyon Dergisi 2006; 20 (2): 131–135. 38.Arısoy AS, Şahin Ş, Karabulut M, Eren Topkaya A. Bağışıklık Sistemi Normal Bir Olguda Hidrosefali ile Seyreden Kriptokok Menenjiti. İnfeksiyon Dergisi 2006; 20 (1): 65–68. 39.M. Yaman, Ş. Şahin, SN Yeni, N. Karaağaç. Sporadik Ve Ailevi Epilepsilerde Etiyolojik Risk Faktörü Karşılaştırması. Fırat Tıp Dergisi 2007;12 (2): 121–123. 40.Ş. Şahin, D Tan, FB. Aksungar, S. Karşıdağ. Cerebral Blood Flow Abnormality Observed With Tc-99m HMPOA SPECT In Reversible Dementia Caused By Hypotyroidism. Yeni Symposium 2007; 45 (4):147-149. 41. M. Yaman, SN Yeni, Ş. Şahin, N. Karaağaç. Ailevi Epilepsilerde Fenotipik Özelliklerin Değerlendirilmesi. Kocatepe Tıp Dergisi 2007;8: 5–10. 42. Ş. Şahin, S. Ayalp, S. Karşıdağ. Moya Moya Sendromu. Göztepe Tıp Dergisi 2007;21(4):121–123. 43.Ş.Şahin, S. N. Çınar, Ayalp, T. Okluoğlu, K. Batum, S. Karşıdağ. Petröz Kemik Koleastatomuna Bağlı İntrakranyal Komplikasyonlar: Olgu Sunumu. Maltepe Tıp Dergisi 2009;1(2):49–53. 45.N. Çınar, Ş. Şahin, S. Karşıdağ. The Comorbidities Accompanied by Restless Leg Syndrome: Anxiety and Depressive Disorders rank first. Parkinson Hast ve Hareket Boz Der 2011;14(1):1-6. 46. Okluoğlu T, Ş. Şahin, N. Çınar, S. Karşıdağ. Monoklonal Antikorlarla İlişkili Polinöropati: Olgu Sunumu. Fırat Üniversitesi Sağlık Bilimleri Tıp Dergisi 2011;25: 107-110. 19 Mayıs Üniv. Tıp Fak. Uzmanlık: Cerrahpaşa Tıp Fak.